Dr. Stephen Harkins, D.D.S. was born in Rhinelander, Wisconsin. He graduated from the University of Wisconsin, Madison in 1974 with a B.A./B.S. degree in Molecular Biology/Genetics. He received his Doctor of Dental Surgery degree from the University of Minnesota School of Dentistry in 1977. Dr. Harkins continued his interest in occlusion (bite), temporomandibular joint disorders (TMD), orofacial pain (OFP), oral medicine and behavioral psychology/stress management by completing several postgraduate educational training programs at the University of Minnesota, UCLA and the Mayo Clinic in Rochester, MN. Dr. Harkins has been certified in clinical hypnosis and biofeedback therapy. 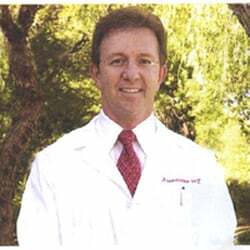 Dr. Harkins moved to Tucson in 1982 and established one of the first private practice clinics in the U.S., limited to the diagnosis and treatment of TMD and OFP. Dr. Harkins has been a member of the research faculty at the University of Arizona College of Medicine since 1984 and has served as a consultant to the Veterans Administration Hospital in Tucson for several years. He has published several scientific research articles in dental and medical journals, authored two chapters in medical textbooks and edited/produced patient education brochures on TMD and OFP which are used in dental, medical schools and treatment clinics around the world. Dr. Harkins has presented research in and lectured continuing education programs throughout the U.S. and around the world. He has treated over 6,000 TMD/OFP patients and is still active in private practice, education, writing and research. He has been a volunteer clinician for TMD/OFP patients at the St. Elizabeth of Hungary charity clinic for several years. Dr. Harkins also acts as a certified consultant to the Arizona Board of Dental Examiners. Dr. Harkins was certified by the American Board of Orofacial Pain in 1995 and maintains Diplomat status. He is a member of the American Dental Association, Arizona State Dental Society, Southern Arizona Dental Society and the American Association of Orofacial Pain. Dr. Harkins is married and has four children. He and his wife Swanny, who is also an orofacial pain specialist, are active in several charitable organizations, love to travel, ski and enjoy most outdoor activities with their children.